Trading cryptocurrency has become easier than ever, thanks to the development of sophisticated exchange platforms and new, user-friendly storage options. Yet there is one issue that can prove challenging for even relatively advanced traders: Cryptocurrency and taxes. 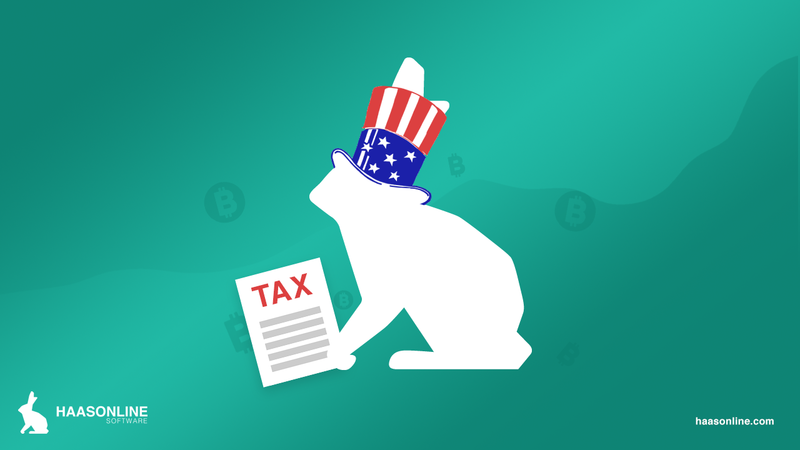 Given that the penalties for failing to accurately track, file, and pay taxes on cryptocurrency gains can be substantial, it’s vitally important that traders are equipped with up-to-date tax information. With that in mind, let’s take a closer look at what you need to know about how to report cryptocurrency on taxes. You can also reference our previous article and video interview we did with Happy Tax here. Oh, hey looks like it’s time for a surprise trading bot giveaway. This time around we’d like to know what your favorite cryptocurrency exchange is! To enter all you have to do is: retweet our contest tweet with your favorite crypto exchange tagged and subscribe to our YouTube channel. You must meet all of the listed requirements below to be eligible, no purchase necessary. We will announce the winners via Twitter on September 24, 2018 to gather your details, confirm your YouTube subscription, and activate your 3-month Beginner license* for HaasOnline Trade Server. At HaasOnline, we value your privacy. So, we’re letting you know about some changes we’ve made to our Privacy and Cookie Policies. These changes go into effect on 25th of May, 2018. 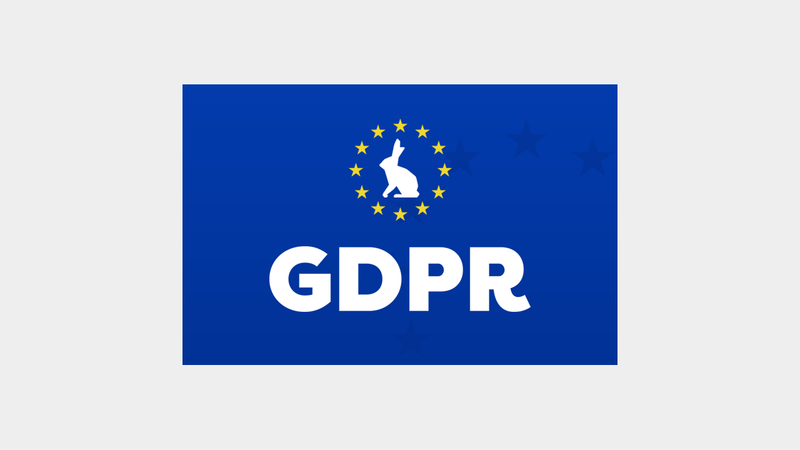 These changes reflect the new rules set by the European Union’s General Data Protection Regulation (GDPR). But because we want every HaasOnline customer to enjoy these rights, we’ve rolled them out globally. By using HaasOnline products or website on or after that date, you’ll be agreeing to the changes. If you have questions about these changes, feel free to reach out to us at using our support page. 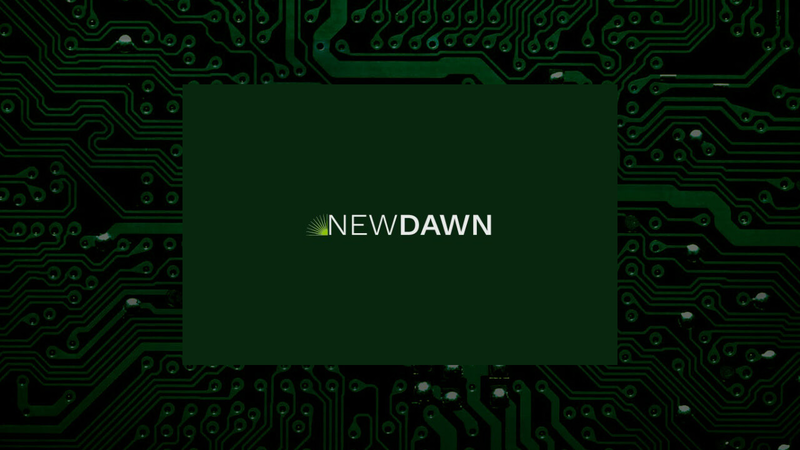 We’re proud to announce that one of our partners, investment firm New Dawn, has recently launched the world’s first public cryptocurrency and blockchain asset fund. Their goal is to provide cryptocurrency investors with access to a breadth of assets and investments across the blockchain industry. 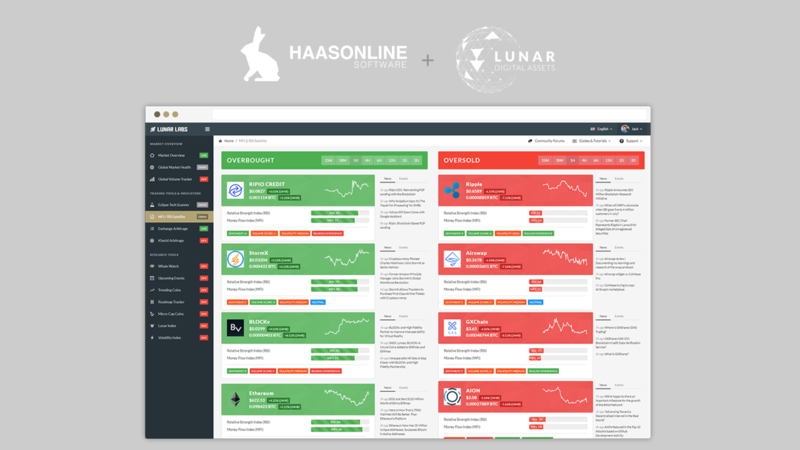 The team at HaasOnline is very excited that New Dawn is using our trade platform and crypto trade bots, often referred to as HaasBots, to execute their proprietary trade strategy. With our latest Haas Trade Server release there are several new bug fixes and features. We’re proud to announce two new HaasBots to our line up, the Crypto Index Bot and our C# script. Our Crypto Index Bot will allow you to grow a diversified crypto currency portfolio and the C# Script bot is geared towards advanced users who want to code their own bot. There have also been various updates for API changes that were impacting HaasBot capability with a couple crypto exchanges. Its that time again, Beta Testing time! We have been working very hard over the last few weeks to bring you Haasbot 2.2. Haasbot 2.2 is a major update that includes a ton of new and innovative features! The new features include candlestick pattern recognition indicators, new insurances that will activate/deactivate trading based on the market (either sideways or volatile), whitesever and chart loading optimizations, completely redesign marketview page with live order books on exchanges with websocket integration, OKCoin support for spot trading (futures trading will be implemented in a future beta build), as well as numerous other optimizations and fixes. Because of the massive overhaul and addition of features, we need your help for beta testing! We have gone through and tested everything, but we want your feedback and we need you guys to stress our whiteservers so that we can make sure our solution is resilient. [Indicator] CandleStick Pattern Indicator is added. [Insurance] TrendingTrend1 has been added, to allow only trading when the price is volatile (Short Term). [Insurance] TrendingTrend2 has been added, to allow only trading when the price is volatile. (Mid Term. [Insurance] TrendingTrend3 has been added, to allow only trading when the price is volatile. (Long Term). [Insurance] SideTrend1 has been added, to allow only trading when the price is sideways. (Short Term). [Insurance] SideTrend2 has been added, to allow only trading when the price is sideways. (Mid Term). [Insurance] SideTrend3 has been added, to allow only trading when the price is sideways. (Long Term). [Marketview] Trade window can now be dragged across the window and closed. – Click on the chart to selected to select that price. 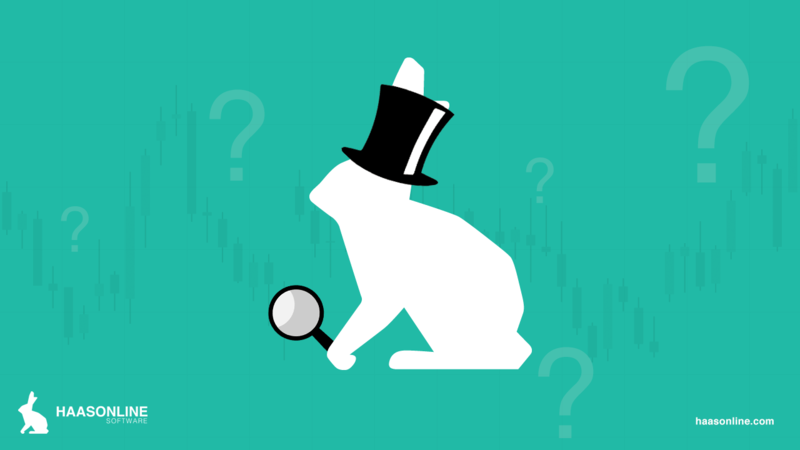 – Click on a price in the orderbook to select that price. – When doing a sell, clicking on the base currency will selected that amount. – When doing a buy & put a price in, clicking on the quota currency will calculate the amount. – Wallet will update in the window. [MarketView] Added the ability to show indicators. [Marketview] Indicators added to the Marketview. Click on the name to select the indicator. Click on save to save the changed settings and reload the chart. [Marketview] Candle Pattern Recognition added. 60+ Patterns can be selected. [Marketview] Heiken-Ashi candlesticks are added. Selectable through the Settings on the left. [Marketview] There are now in total 24 drawing tools. (13 more are added since last update). [Marketview] Drawing-Tools-Settings can be dragged across the window. [Marketview] Orders can be cancelled by clicking on the highlighted order in the orderbook. [Dashboard] Trade Bot coin position is displayed between the trade-amount and last update time. [Trade Bot] Added the option to clone/copy a bot. Every settings can be copy-ed (or not). [Trade Bot] Trade Bot Trades is a button now. [Trade Bot] Fine-tuning feature added. [Arbitrage Bot] Added the option to clone/copy a bot. Every settings can be copy-ed (or not). [Order Bot] Added the option to clone/copy a bot. Every settings can be copy-ed (or not). [Order Bot] Added indicators to the view (cosmetic only). Click on the name to select the indicator. Click on save to save the changed settings and reload the chart. [Order Bot] Pattern Recognition added (cosmetic only). 60+ Pattern can be detected. [Exchanges] Page will auto refresh every 2,5 sec and after inserting key’s. [Exchanges] Support for Camp-BX is dropped since they don’t allow customers to withdraw coins. As usual, please let us know if you find any issues and let us know if you want something added so that we can make Haasbot 2.2 the best release build possible! We are just getting started with innovative features and this is just the tip of the iceberg in terms of what we have planned! Welcome to Haasbot 2.1. We are pleased to announce that we are releasing this somewhat major update! There are quite a few changes as well as the much anticipated integration with the whiteserver network. This release also addresses the issues that users had with Cryptsy, so you guys should be good to with this. In addition, we are going to start powering on with more beta builds for Haasbot 2.1.1, so get ready beta testing team! We have very ambitious plans, such as speeding up the price polling to around 1 second. This will be an option, as it will require more CPU resources, but we will finally be able to allow users to do some real time trading with haasbot! This is a big step for us and it will push our whiteserver network to the limit 🙂 We would also like to announce that we have gotten half of the exchanges we support to whitelist our whiteservers, which will enable us to get going with real time trading. I cannot give an ETA on this yet, but thats the direction we are heading. We will also be adding orderbook data for the marketview page, as well as for the trade bots, so you will have everything you need to do manual trades via the marketview page. [Dashboard] All the lights are now clickable. They will lead you to the cause of the light. [Exchange] Bittrex Order Tracking is fixed. [Dashboard] Order Bot display will load now. – More translations will be added soon. – Script-bots will be added soon.